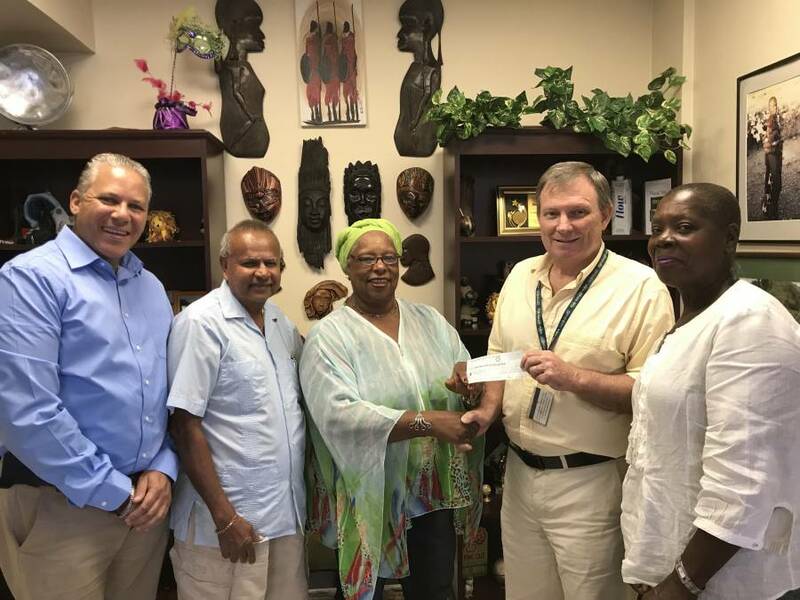 The Grenada Association of Retired Persons (GARP) was the welcome beneficiary of a donation of EC$26, 882, awarded through the Windward Islands Research and Education Foundation (WINDREF) from Chancellor Charles Modica on behalf of his mother, Marion Modica. GARP was established in 2010 to deliver high-quality services and programs that meet the need of its members whilst advocating for the well-being of all older persons in Grenada. It provides activities and classes at the GARP Welcome Centre on Kirani James Boulevard, and outreach services across Grenada, such as health clinics, which are open to all seniors. One example of GARP’s outreach work is its free diabetic clinics, held in St George’s, Gouyave and Grenville. Staffed by SGU students and volunteer doctors, in 2018 the clinics were attended by over 400 seniors.